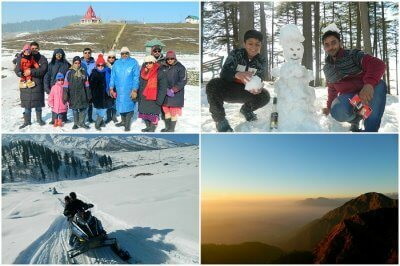 Aditi Tyagi talks about her amazing long weekend getaway to McLeod Ganj – organized by TravelTriangle. 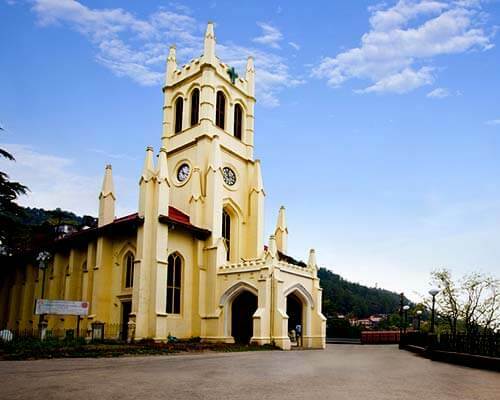 She elaborates on how her second trip from TravelTriangle was even better than the previous one. 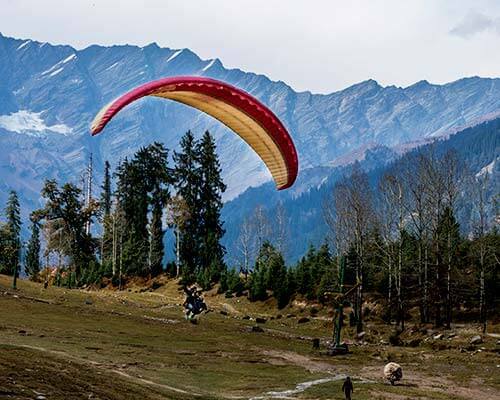 This amazing escapade to Mcleod Ganj cost her INR 5799 and included her hotel, transfers, trek, and meals. 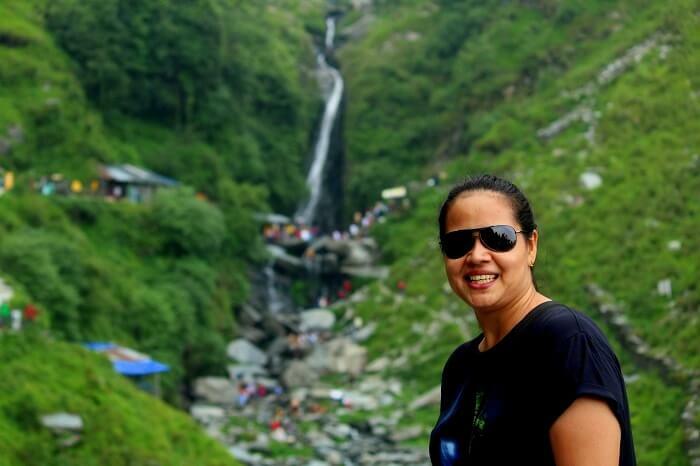 Describing the group trip to be a refreshing and an adventurous experience, she recalls her escapade. 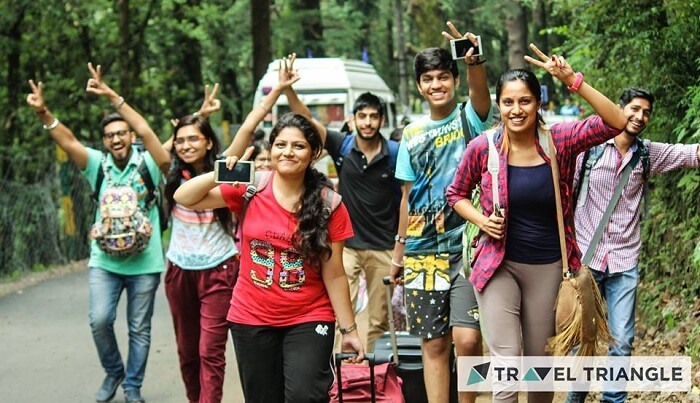 Trip type: Had a successful first attempt at a group trip, let’s take another chance! 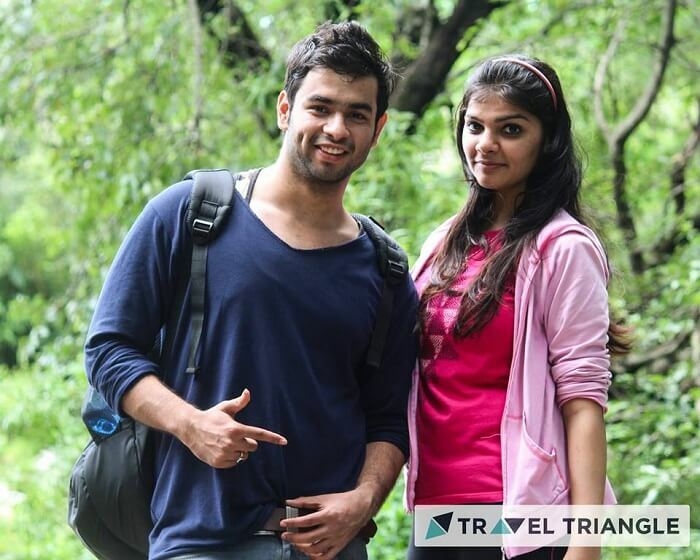 This was my second weekend trip with TravelTriangle. 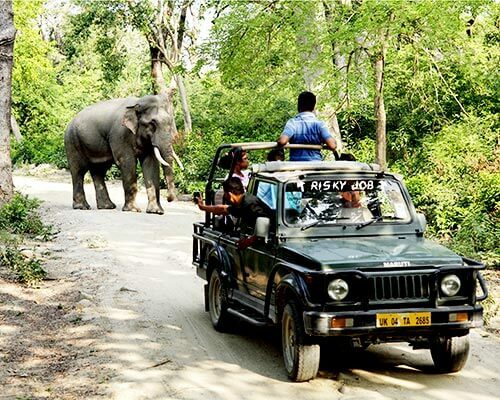 The first one to Jim Corbett being a massive success had raised my expectations, and now, I was eagerly looking forward to my next adventure! 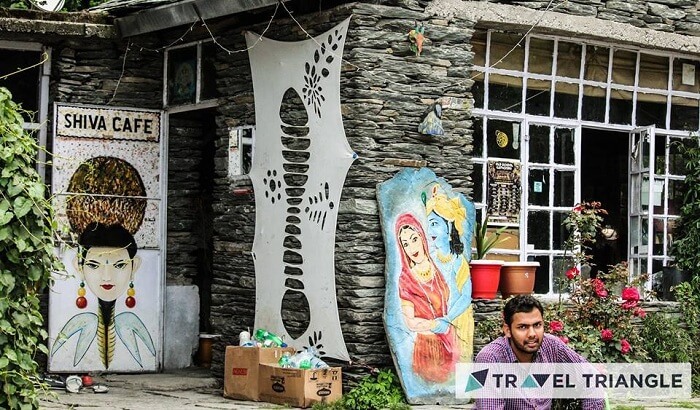 Just like the previous time, I found out about the trip to McLeod Ganj from the Facebook page of TravelTriangle. 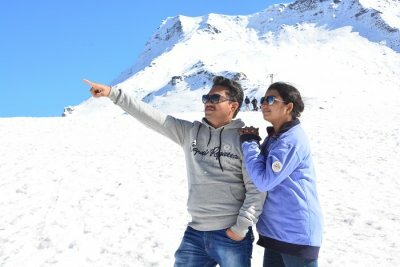 They quoted a price of INR 5799 for the trip and included quite a lot of things in it. Finding the trip to be value for money, I went with it for it easily fit my budget! Feeling confident or rather overconfident for the perfect group trip once again, I prepped up for my weekend getaway and packed my bags with the necessary equipment for the journey (DSLR, power bank etc). My plan for an escape to the hills was finally in motion! Finally, the day came (it was a FRIDAY!) and I reached the pickup spot – Majnu ka Tilla by 8 PM. The trip planners had also created a Whatsapp group to help everyone find the location and directions to the bus (convenient!). Finally, when all the excited human beings were settled, the journey began! This was a 9 hour long night journey and on our way, we stopped for dinner at one of the finer places in Murthal – Sheesh Mahal! This was a serene and nice place for dinner and I was glad to see that it was not crowded like many other popular dhabas on that road. The food was delicious and post the relaxing meal, we continued our journey. Finally, we reached the hotel, checked in, and were then instructed by the trip manager to get ready in an hour for sightseeing activities (Bhagsu Fall, yay!). Prior to sightseeing, we managed to grab a quick lunch in the nearby main market since our hotel was situated centrally. This market had a lot of food options that ranged from typical north Indian food to burgers to Tibetan momos! Everything for a street food lover was available and frankly, everything looked delicious! 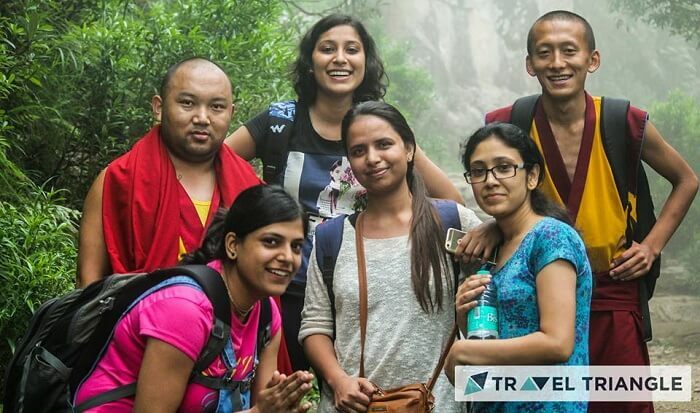 After filling up our stomachs with the best of McLeod Ganj, we left for Bhagsu waterfall trek. During this trek, we came across the famous Bhagsu Nag temple on our way but did not stop there since we wanted to see the amazing sunset from the waterfall. 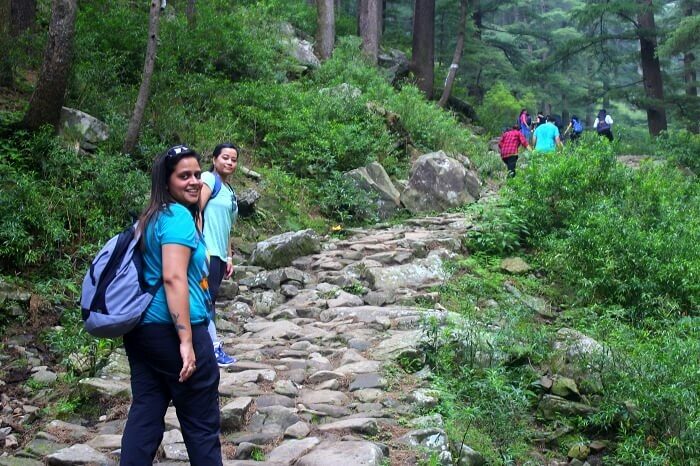 The trail leading to Bhagsu waterfall stretched for around 2 km from the temple and was smooth but a little slippery at some places. Upon reaching the waterfall, we were mesmerized by the natural ambience of the area and took our sweet time to admire the beautiful view that this attraction held. In the evening, we were more than pleased to witness the beautiful sunset, and it was one of the most beautiful that I had ever seen. The sun rays fell over the hills and merged beautifully with the sky – creating mesmerizing shades of red, orange and yellow! Afterwards, we went to the Shiva Cafe (500 meters up) to refresh ourselves and indulge in some coffee and snacks. This was a fine cafe and had an artful vibe to it. Sipping coffee amidst nature here was a relaxing experience and by the end of our snack session, all our tiredness was gone! 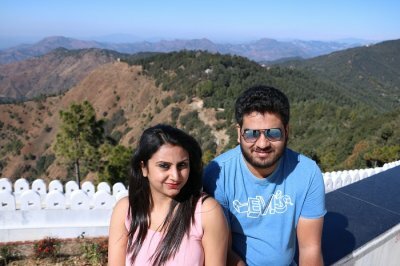 Later on, after spending some more peaceful time in the serene ambience of McLeod Ganj, we went back to the hotel, had dinner, and retired for the night. 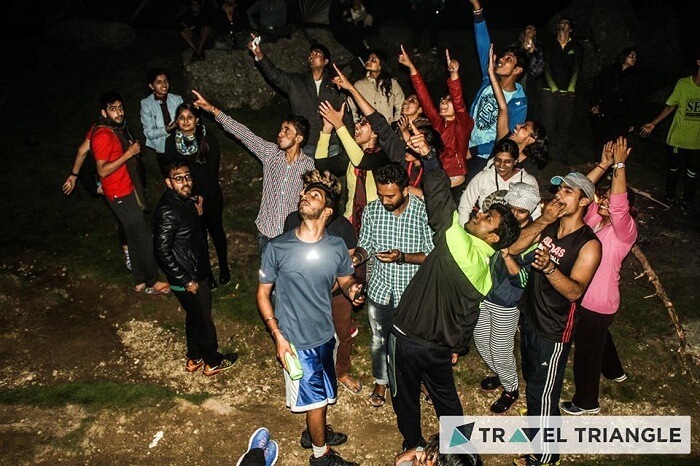 Day 2: Trek to Triund, bonfire, and a night under the open sky! I woke up this morning with great enthusiasm for it was the ‘Trekking Day’ and I was very excited. Since we were to leave by 8 AM, I got ready, had breakfast, and was in the lobby on time, ready to leave but alas! I had forgotten one thing, it was a group tour! So, everyone took their own sweet time to get up and get ready and by the time we left, it was almost 10 AM. 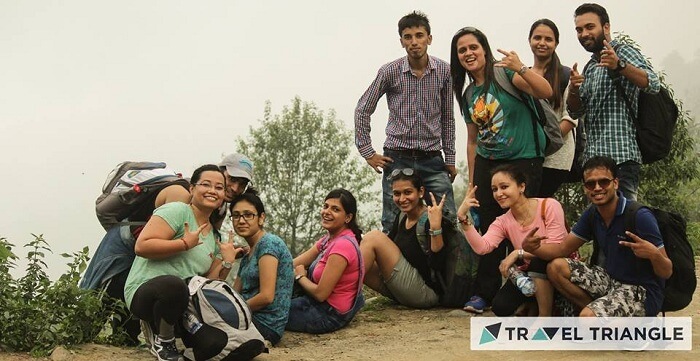 The trek was an awesome experience but not an easy one! Since we had to go uphill to reach the tents set up on the hilltop, everyone had to put a lot of effort, especially me since I was not used to going on long treks! I kept myself spirited throughout the trek and in the end came out victorious (yay!). I would also like to give credit to the trip managers who were great and did a commendable job in keeping our spirits high. 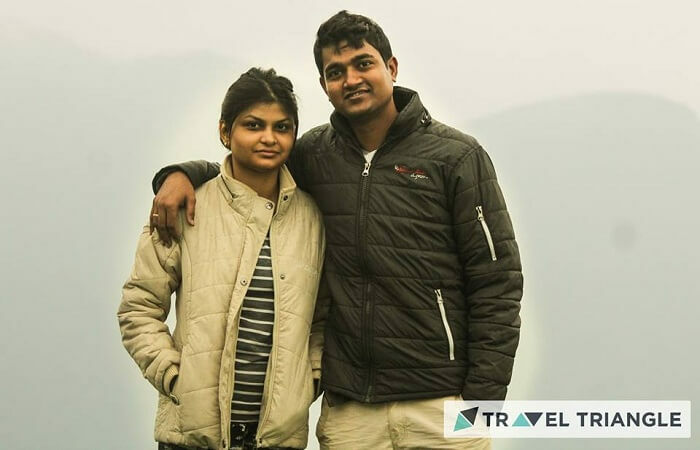 They dealt with us with a lot of patience and never got worried if someone was taking extra time during the trek. 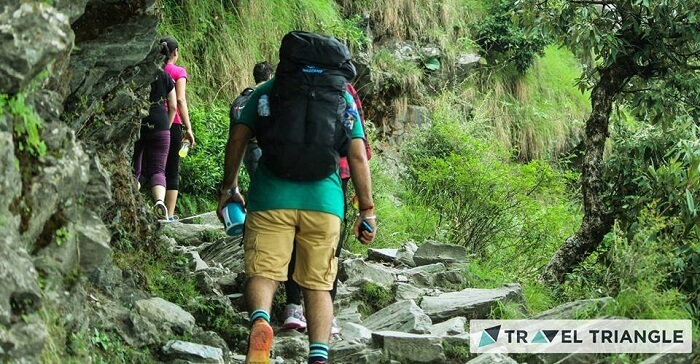 Finally, we reached Triund and it was a sight to behold! 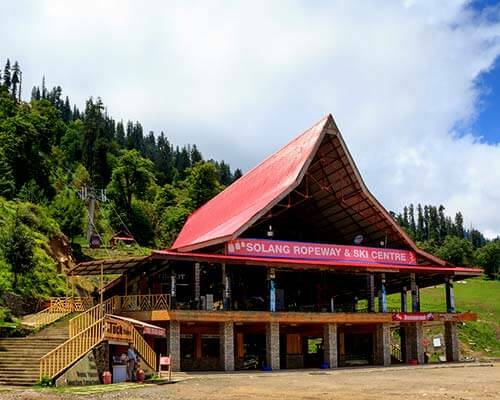 The panoramic view of the snow-covered mountains amidst lush greenery, valleys, and serene ambience from here was enough to vanish all my tiredness! 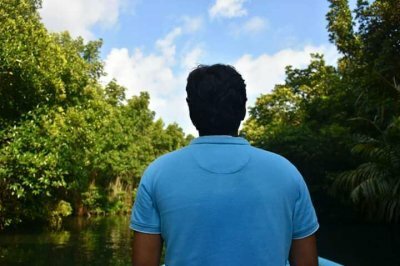 In fact, it was so calming that I literally sat there for a while – simply soaking in all the goodness of nature! By nightfall, the view of the place became absolutely phenomenal for we were now directly under the open black sky amidst the twinkling stars! The only light source was the bonfire and the group had gathered around it. 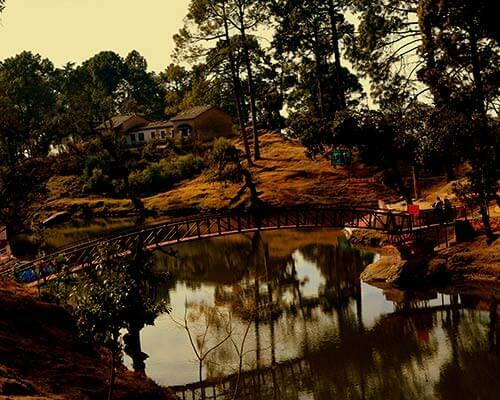 This was also the time when I felt like I was in the middle of pristine nature and somehow the crackling of the wood, the cheerfulness of people, and the general festive vibe all around made me extremely happy and calm at the same time. As the night grew, we were served simple but delicious north Indian food for dinner. I enjoyed it thoroughly and getting such a sumptuous meal on a hilltop was a privilege. Later part of the night was spent in singing and playing antakshari which we thoroughly enjoyed. In fact, it was so enjoyable that some people were singing till the wee hours of the morning (pun intended). Finally, the rain god decided to come to our aid and stopped the singing that had been going on for FAR too long! But since it was almost morning, we decided to wait for the magnificent sunrise. And frankly, the wait was worth it for the sunrise was absolutely fantastic! 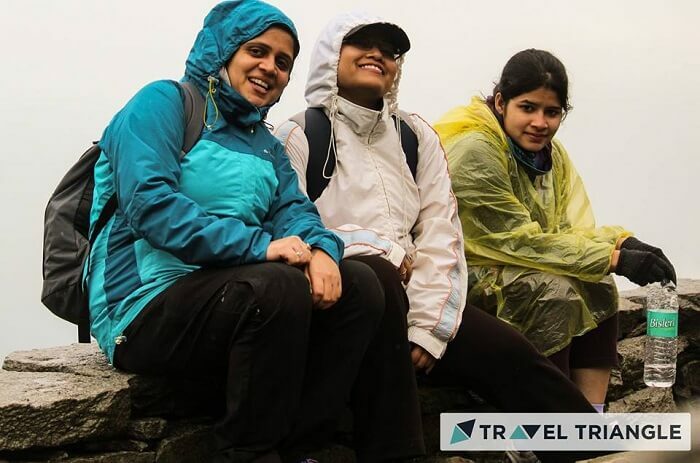 Day 3: A downhill trek in the rainy weather! 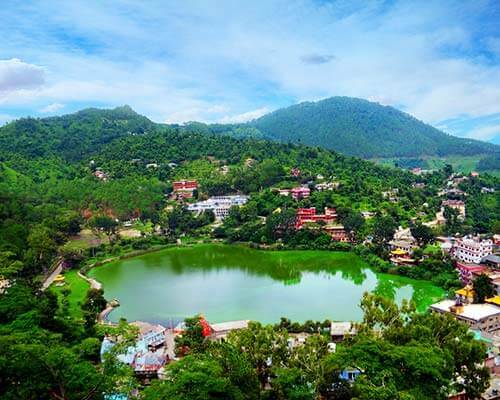 Today, as per the itinerary, we were to trek downhill, visit the Dalai Lama temple, and then proceed back to Delhi in our bus. 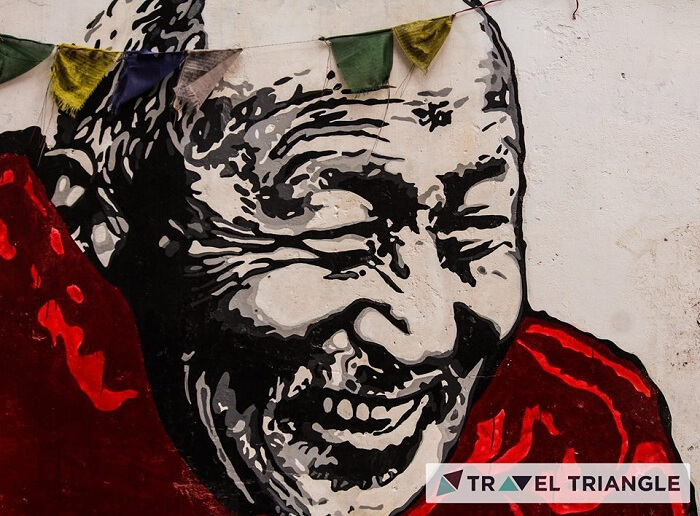 This was a day specifically planned for us to see the charm of Tibetan architecture and its culture. But alas, God once again had different plans for us! Since it was quite a heavy downpour, we had no option but to wait. However, after an hour or so when the rains refused to cease, we decided to trek downhill in the rain and go with the flow of nature! The downhill trek to the main city was an exciting one (more risk = more adventure) and we were completely drenched by the time we reached. The whole downhill trek turned out to be a perfect unexpected adventure for us and we really enjoyed it in the rainy ambience. Everyone around me was so happy and cheerful! It was fantastic! Our arrival in the city, however, was not exactly as cheerful as expected since all of us were completely drenched and wanted a place to change. But because we had already checked out (as per the itinerary), we had to resort to last minute arrangements by the trip organizers. The organizers finally got us a room to dry ourselves and change, post which we proceeded to the bus for our trip back home. We had started the journey Friday night and it was Tuesday morning when we reached back Delhi. Personally, I loved this trip since it was full of adventure, excitement, and crazy fun! 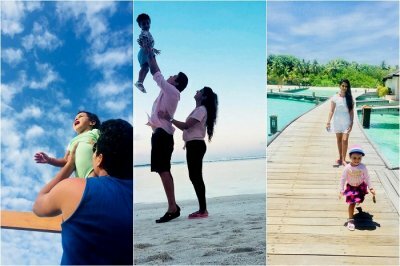 Like all weekend getaways, it took me away from all the hustle-bustle of daily life and rejuvenated my senses! 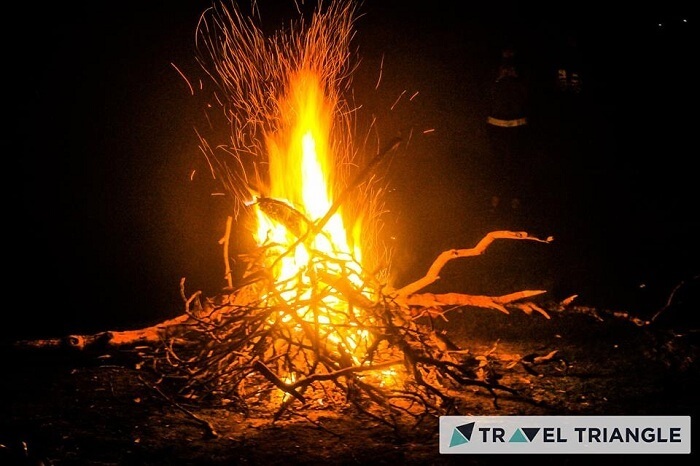 At a cost of INR 5799, I was really expecting an average experience but TravelTriangle again exceeded my expectations and gave me a trip that had a good hotel, bus, and amazing food! 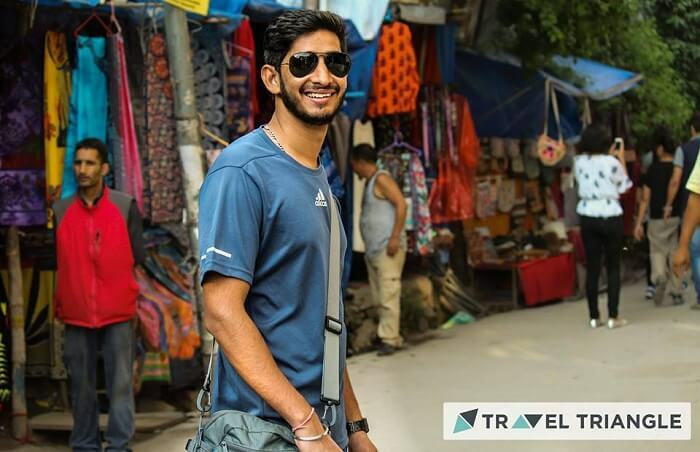 I loved all the treks that I did in McLeod Ganj and their crazy adventurous experiences will always stay with me, FOREVER! 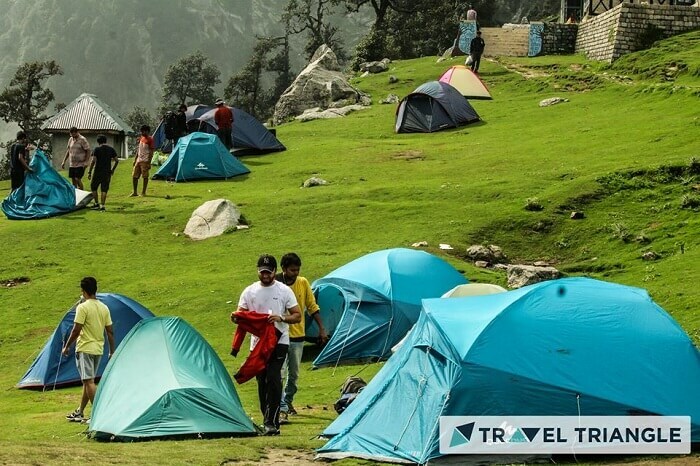 Low Points: The trip manager had to arrange rooms for us to freshen up and change after the Triund trek at the last moment. There should have been rooms available in advance for short duration post the downhill trek since we were completely drenched and desperately needed a place to change and dry ourselves. 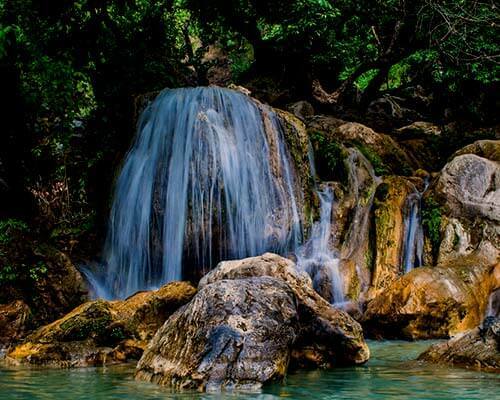 Have fun, take in the goodness of nature, and soak in all the serenity and peace! 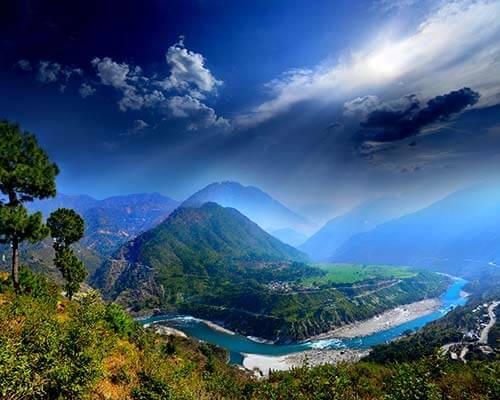 Feel the charm of the mountains! Escape into an adventure this weekend! 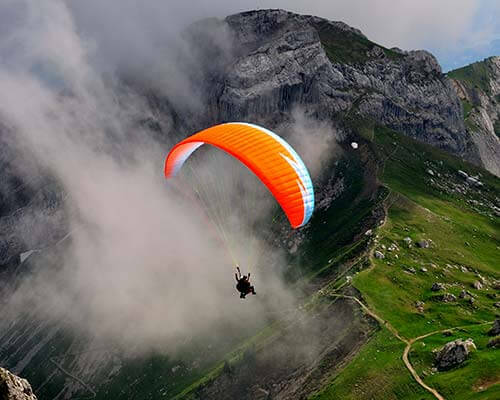 For more info on exciting weekend getaways, follow the link!